This site is a simple but fun way to make random story ideas. Simply click the "Shuffle" button to get a new random prompt including "Character", "Situation", "Prop", and "Setting" (which will display as an image). 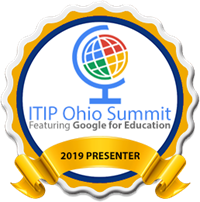 This tool for grades K through 6 randomly generates plots for adventure, fantasy, and science fiction stories, and then works students through the writing process. To begin, choose the type of story you want to write including "Adventure", "Fantasy", "Sci-Fi", and "Scrambler". Next choose the grade level from "K-1st", "2nd", "3rd", "4-6th". Now pull the lever to spin the wheels and get a story prompt. If you want, you can also push the individual buttons to spin just single wheels and change just a portion f the prompt. When you are happy with the prompt, now choose the format for the writing including "Notebook", "Letter", "Newspaper", or "Postcard". Finally the student can now write their story. There is also an option to draw a picture to include with the story if desired. When done, you can print your story or download it as a PDF. 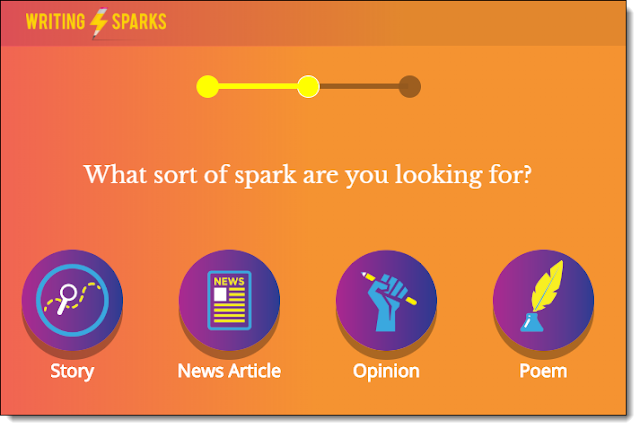 First, begin by clicking the "Create Spark" link. 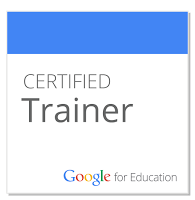 Next, choose the age of your students, either "7 and under" or "8 and over". 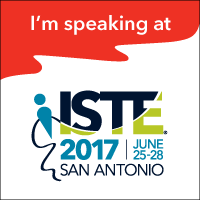 Next, select the type of writing you want your students to do, including "Story", "News Article", "Opinion", and "Poem". Then choose how long the writing exercise should last, from "10 minutes" to "15 minutes" to "20 minutes". 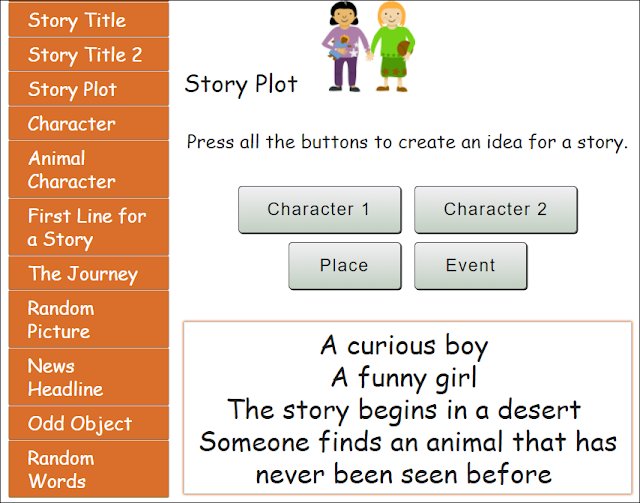 The site will now provide the writing prompt and guide the students through the writing process. Along the way, the site will continue to provide inspirations that can be including in the project. This site is a little different from the others in that it does not generate random prompts. Instead the site offers several new writing prompts each week. 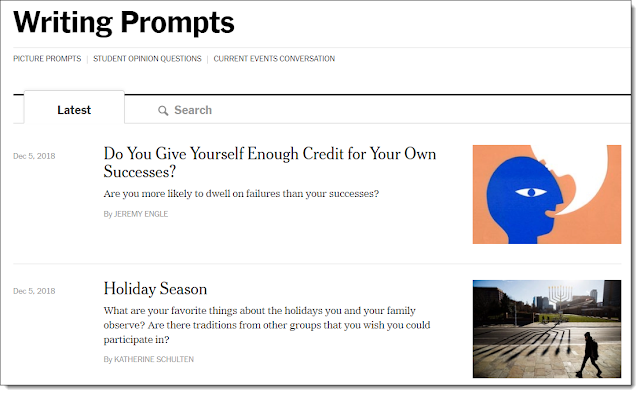 The added value however is that each prompt comes along with an associated New York Times article for the student to explore, as well as thought-provoking questions to help the students dig deeper in the topic before writing. This is another tool that is different from the others in that it does not create random prompts, but instead helps extend an idea the student already has. To use the site, start by typing in the key word you want to write about, and then press the search button. 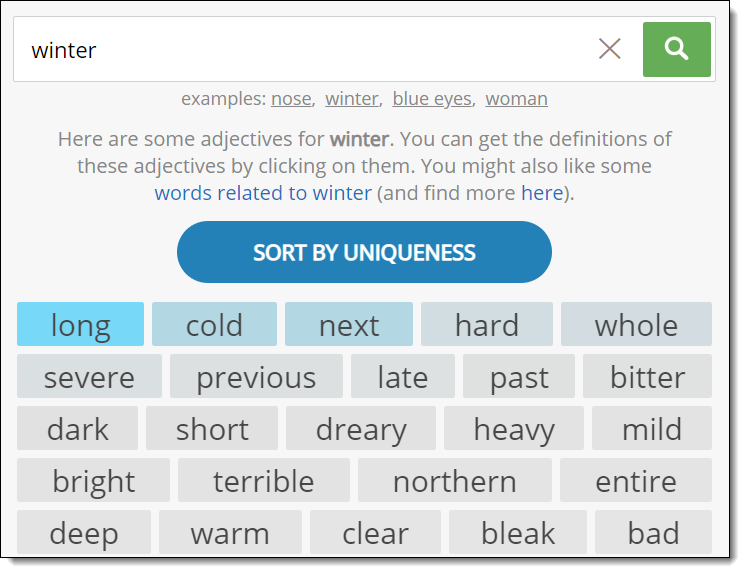 You will now get a giant list of adjectives and phrases related to your main word. You can click "Sort by usage frequency" to show the list from most common to least common. Or click "Sort by uniqueness" to get more unusual options at the top. 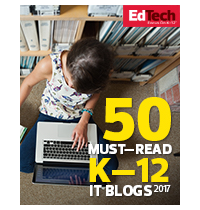 This site can be helpful for a student who has a general idea of what they need to write about, but could use some inspiration. 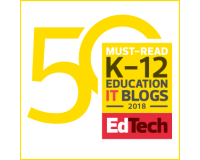 Alternately it could be interesting to have every student in the class start with the same word, and then use this site to get creative ideas on what to do with that word, comparing their final writings. Story Title - Click the "Adjective" and "Noun" button to generate a title for your writing. Story Title 2 - Click the "Press here" button to get a different random story title each time. 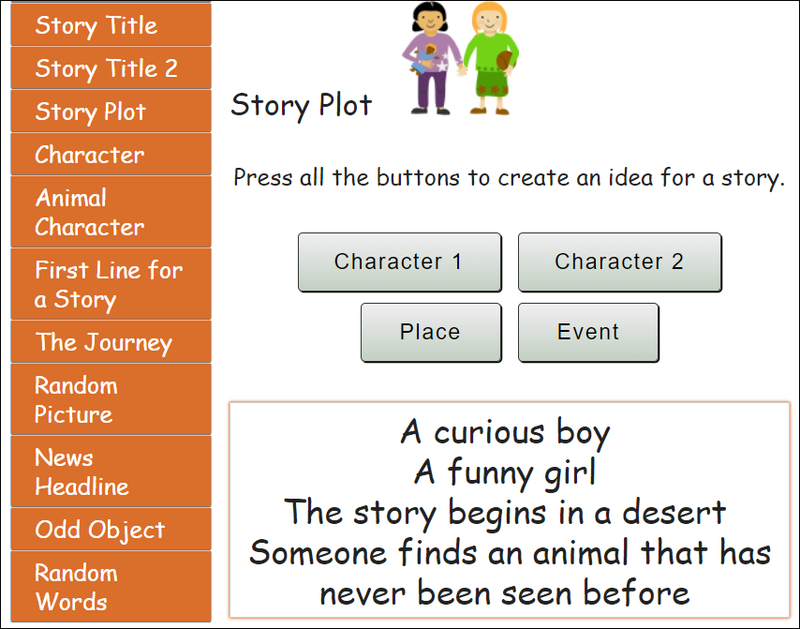 Story Plot - Click the buttons for "Character 1", "Character 2", "Place", and "Event" to get the elements of a story plot. Character - Click the "Create a Character" button to get a couple of sentences describing your character to include in your writing. Animal Character - Click the "Animal Character" button to get the description of a creature to write about. First Line for a Story - Click "Press Here" to get the beginning of the story, and then write from there. The Journey - Click each of the three "Press Here" buttons to get different parts of a story about going on a trip. Random Picture - This tool gives you an image to describe and write about. News Headline - Click the "Press here" button to get a headline from which you can write a news story, answering where, how, and why. Odd Object - This option will generate an object in a strange location. 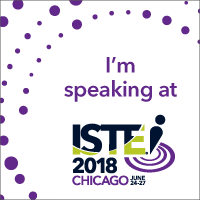 Students can write about why it is there and what it is doing. Random Words - The final generator simply gives you three (probably unrelated) words that you need to incorporate into your writing. Note: The site also has a main page at http://writingexercises.co.uk with even more writing prompt tools. However the main site is not specifically for children, so some of the prompt could be more mature. The Prompts tab - Here you will find 20 randomly generated writing prompts in the form of an adjective followed by a noun. These can be used for the title of a poem or the topic of a story. The Adjectives tab - Here you will find a list of about 2,000 adjectives. The Nouns tab - Here you will find a list of about 1,000 nouns. You can get a new set of 20 random prompts by pressing "Ctrl" and "R" (to recalculate) or by refreshing the page in your browser. "Directions" tab - Here you will find the directions for using the spreadsheet. "2 Emojis" tab - This tab randomly generates 2 emojis as a writing prompt. "3 Emojis" tab - This tab randomly generates 3 emojis as a writing prompt. 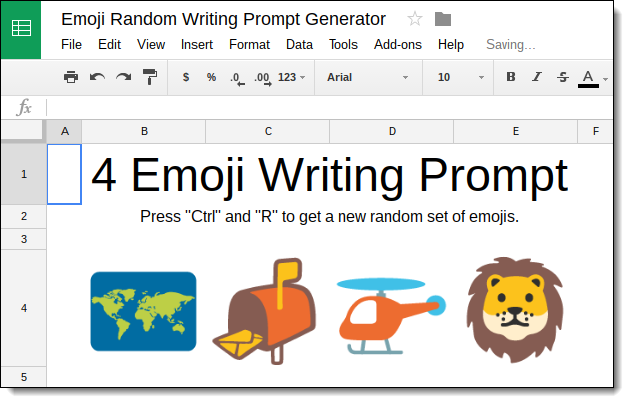 "4 Emojis" tab - This tab randomly generates 4 emojis as a writing prompt. "5 Emojis" tab - This tab randomly generates 5 emojis as a writing prompt. "Data" tab - This tab has over 800 emojis, from which the other tabs randomly pull. Story cubes can be a fun way for students to get inspiration for writing. Typically they are regular cubes with a different picture or word on each face. Students can pick a few cubes and then roll them to randomly get elements for a story. Although you can certainly buy these cubes, you can also make you own. 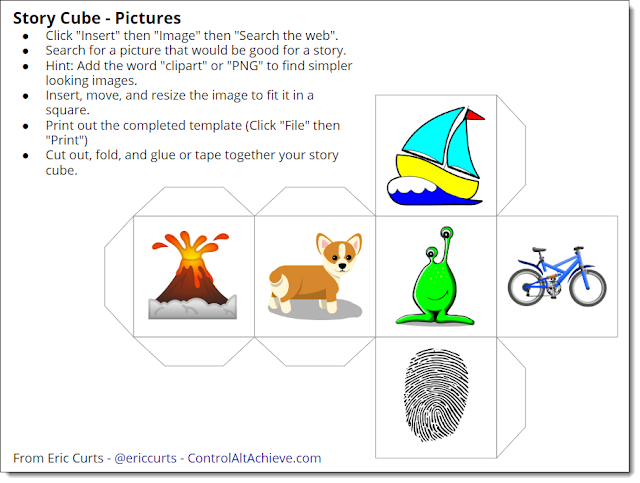 Below you will find three Google Drawing templates for making story cubes. 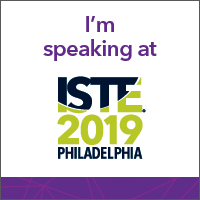 Each is optimized for different types of cubes including picture cubes, emoji cubes, and text cubes. 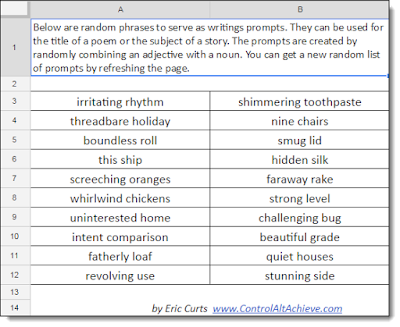 And finally, the one that started it all for my poetry writing fun, this site offers several different random prompt tools. The option I used most often was the "Phrase" tool. You can choose up to four different words, which can include nouns, verbs, adjectives, adverbs, interjections, and prepositions. For each word you can also choose how common it is, with choices ranging from "Very Common" all the way to "Obscure". 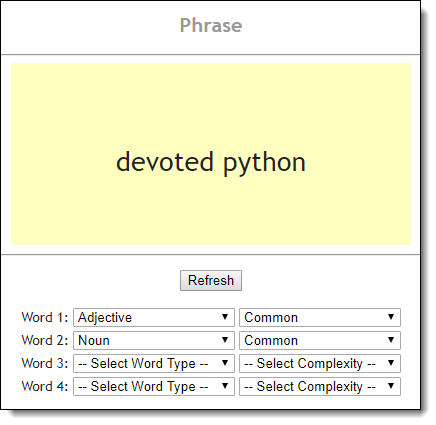 In addition to the "Phrase" tool, the site also has other generation tools including "Word", "Word+", "Sentence", and "Paragraph". 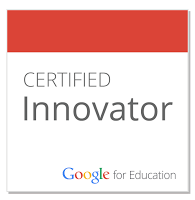 Hopefully one or more of these tools will be a great match for your class and your students! If you have your students create some writings from using any of these prompt generators, please consider sharing some examples of what they make. I would love to see their creations! Thank you so much, these are amazing ideas!